Duties of an Insurer – What Your Insurance Company Owes You as the Policy Holder - Hames Anderson Whitlow & O'Leary, Attorneys at Law, P.S. When you sign up for an insurance policy such as an automobile policy, your insurer’s duties are outlined within that policy. Furthermore, your insurer has obligations that come from your state’s laws and statutory laws. Basically, as a policyholder, your insurance company is required to act in good faith when dealing with any claim or transaction initiated by you. They also must honor policies and pay valid claims. If you feel that your insurance company is not acting as they are required to by law or you feel unfairly treated during a claim, you may have a case against that insurance company. It is best to speak with an attorney that handles bad faith claims to see whether you have a case. What Can a Kennewick Resident Expect from Their Insurance Company? As a policyholder, if you file a claim with your insurance company, your insurer is required to act with good faith while handling your claim. Realize that this is the obligation of your insurance company – not a third party’s insurance company. If you were to file a personal injury lawsuit against an insurance company for injuries caused by their policyholder, that insurer does not have any obligation to you; instead, the burden is to their client. You receive documentation when you sign up for an insurance policy that outlines what benefits you receive and the extent of those benefits. Your insurer is required to honor any responsibilities they describe in the policy. Your agreement may have additional responsibilities outside of the state laws, but will, at a minimum, have what the state requires. In the past, insurers would try to avoid paying out claims by placing ambiguous provisions in their policies. These vague terms allowed the insurer to interpret the provisions as it suited them at the time. Today, the courts no longer allow such acts. And if there is an ambiguous statement in your policy, the court is more likely to find in your favor. Insurance companies have an obligation while handling claims for their policyholders. Insurers must use good faith when handling any claim. This means investigating the claim thoroughly, responding to claims quickly, paying or denying claims within a specific time limit, and providing policyholders with a written explanation of why they have rejected a claim (if denied). Depending on the insurance agreement, your insurance company may be required to defend you under specific circumstances. That means providing legal representation if you are sued. These terms would be dictated by your policy. Even if you are at fault, the injured party can file a claim with your insurance company and your insurer is required to pay out up to your policy maximum – as long as the claim qualifies. 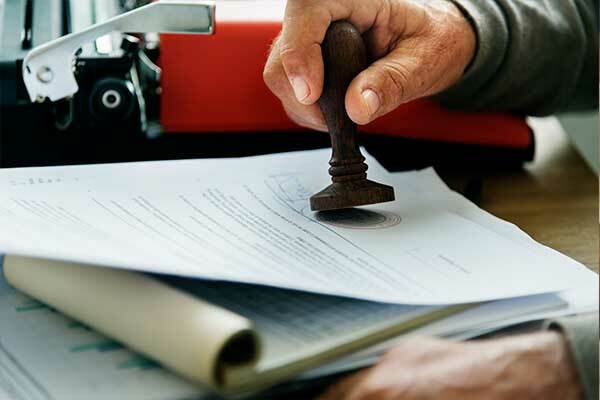 If the insurance company violates the unfair practice laws created by the state or engages in conduct that is unfair to the policyholder, the insured has the right to file a lawsuit against that insurance company. While the insurance company must follow the rules and state regulations, policyholders have obligations, too. Your insurance policy has obligations listed and instances where your policy may not be valid. These obligations must be fair and in accordance with any state regulations. The court will not honor unreasonable obligations imposed by the insurer on a policyholder. If you feel your insurance company has violated state laws or you feel that your insurance company is mistreating you, you may have an IFCA claim. IFCA (Insurance Fair Conduct Act) protects policyholders from unfair practices by insurance companies. IFCA gives consumers legal recourse against their insurance company. It also gives policyholder right to not only seek damages, but to potentially seek punitive damages – depending on the conduct of the insurer. IFCA claims are a complicated legal process. Therefore, you should consult with an attorney that has experience handling these types of cases. The team at Hames, Anderson, Whitlow & O’Leary can help you with your IFCA claim. Schedule a consultation now at 509-586-7797 or request more information about our legal services online.